Name : herp a derp! Flip a coin. 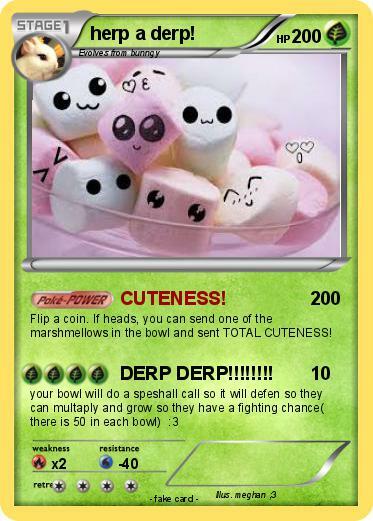 If heads, you can send one of the marshmellows in the bowl and sent TOTAL CUTENESS! Attack 2 : DERP DERP!!!!!!! !